With ‘SketchPaint’ there is no longer any need for the traditional whiteboard as the dry erase surface is now stylishly integrated in the space itself. No more whiteboards obstructing your office but simply painted straight onto the wall. And always nearby when you need it. SkethPaint is therefore perfect for stylish use at home, offices, schools; wherever you like to express youself! SketchPaint is perfect to combine with MagnetPaint by MagPaint, use the same surface with magnets and have a true magnetic whiteboard. 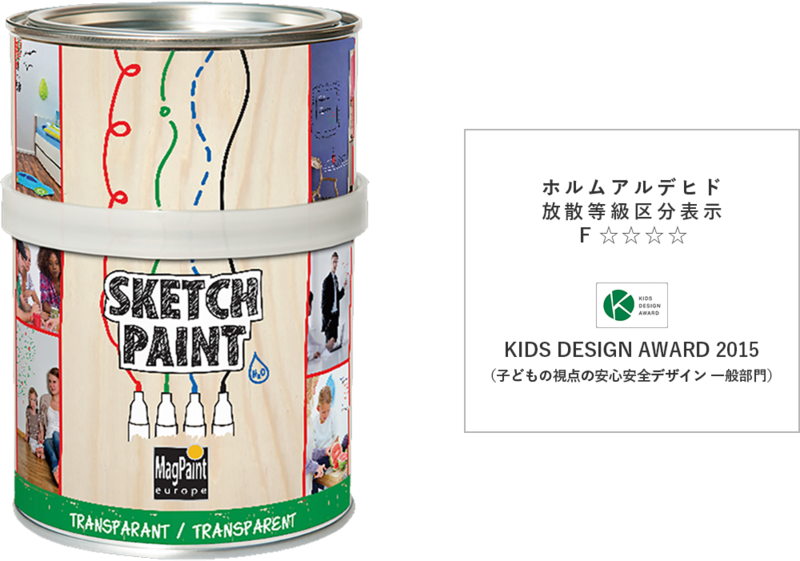 SketshPaint is a waterborne paint that is easy to apply and safe to use (professionally) indoors in the most critical surroundings. Available in transparent.→In Japan we sell only transparent. When using transparent SketchPaint on a darker surface, use chalk markers and be stunned by the effect of vivid colours.